City officials and community partners today broke ground on a 100 percent affordable housing development for seniors in the Mission. Casa Adelante-1296 Shotwell will include 94 affordable housing units, 19 of which will become home for recently or currently homeless seniors. Seventy-four of the units will be available for seniors living on no more than 50 percent of San Francisco Area Median Income. 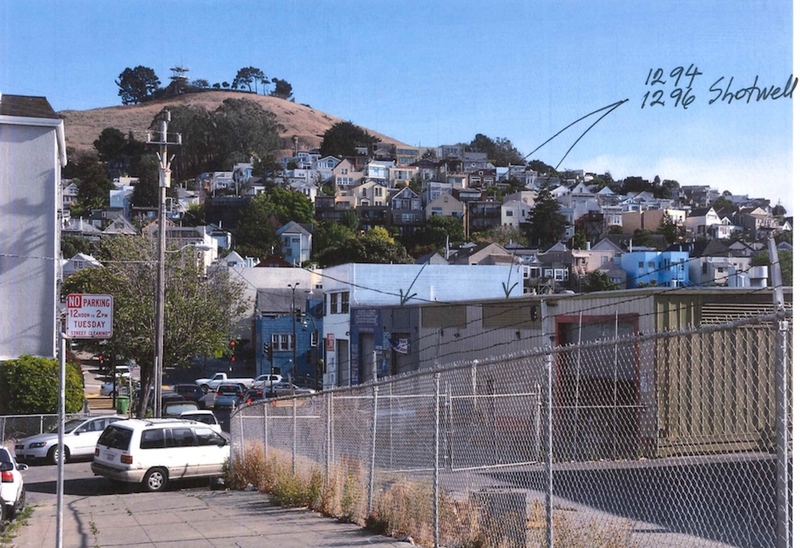 The site at the corner of Shotwell and Cesar Chavez streets was dedicated to the Mayor's Office of Housing and Community Development in 2013 by the developer of Vida and the Alamo Drafthouse Cinema - New Mission, Oyster Development, to meet its inclusionary housing requirements. 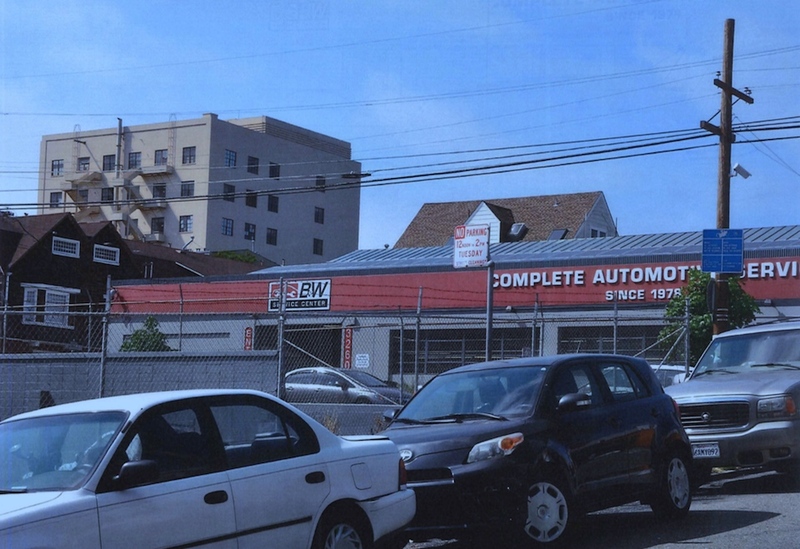 The city selected the Mission Economic Development Agency (MEDA) and the Chinatown Community Development Center as the joint non-profit developers of 1296 Shotwell, which MEDA described in a press release as the first 100 percent affordable housing project to break ground in the Mission in over a decade. Funding for the project comes from the affordable housing general obligation bond approved by voters through 2015's Proposition, the city's Affordable Housing Fund, and HOME funds from the federal department of Housing and Urban Development. 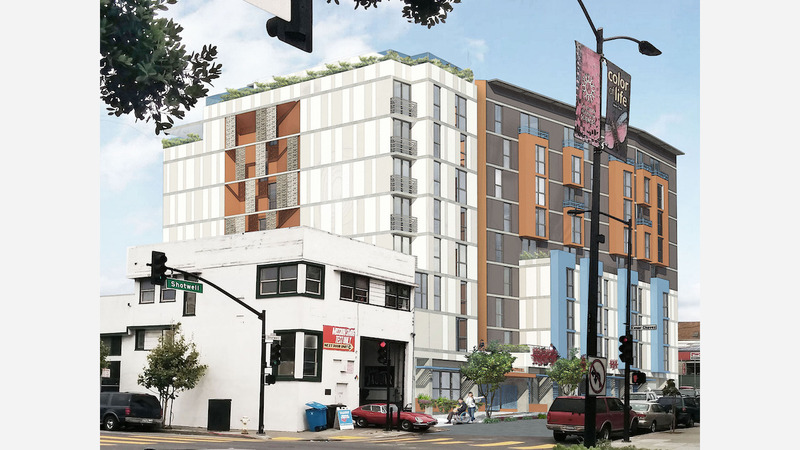 According to MEDA, the 85-foot tall building is also the first to use the San Francisco Affordable Housing Bonus Program to increase site density by 30 percent, and the only development to seek a density bonus through that program so far. "Casa Adelante-1296 Shotwell is the first of five affordable housing developments in our organization's pipeline," MEDA director of community real estate Karoleen Feng said in a press release. "It represents a change in the narrative in the Mission." MEDA and the Chinatown CDC say they worked with architects Herman Coliver Locus to conduct community meetings and develop a plan that ensures pedestrian safety, residential security, and senior-friendly activity spaces. The building will include landscaped courtyards and rooftop terraces as well as a community room that has a shared kitchen, among other amenities. Seniors are expected to be able to move into Casa Adelante-1296 Shotwell in the second quarter of 2020.